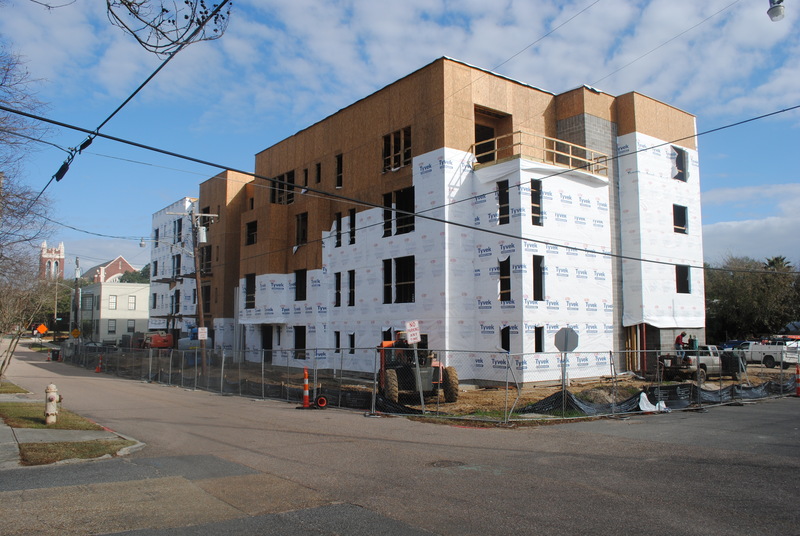 A four-story multifamily housing project located in the historic Beauregard Town neighborhood on the corner of Napoleon and America Streets is currently under construction. The development will include 25, one and two bedroom apartment units with garages on the ground floor. Designed to complement the exterior aesthetic of the existing neighborhood, Beauregard Quarters is located across from the House on the Hill development, an planned urban infill and historic home redevelopment. Beauregard Quarters is expected to complete construction in 2017.